Church of St John of Beverley, Acomb. Photo Northumberland County Council, 1956. The parish of Acomb lies on the north bank of the River Tyne opposite the town of Hexham. The land rises sharply from the river bank and carries on upwards towards Hadrian's Wall. The principal stream through the parish is the Birkey Burn which flows into the River Tyne at St John Lee. The land ranges from riverside arable fields in the west of the parish to the fells close to Hadrian's Wall in the north east. Although there may have been earlier inhabitants, the first evidence for human activity comes in the shape of one of the most southerly examples of a Neolithic cup and ring marked stone in Northumberland. Some Bronze Age cist burials have been found along the eastern bank of the River North Tyne. Roman activity is represented by Hadrian's Wall which crosses the northernmost part of the parish. There is some evidence of early medieval activity in the parish with the discovery of two burials at Acomb but there is no supporting evidence of settlement. The earliest documentary evidence relating to Acomb is the subsidy roll of 1295 where it is listed under the regality of Hexham. 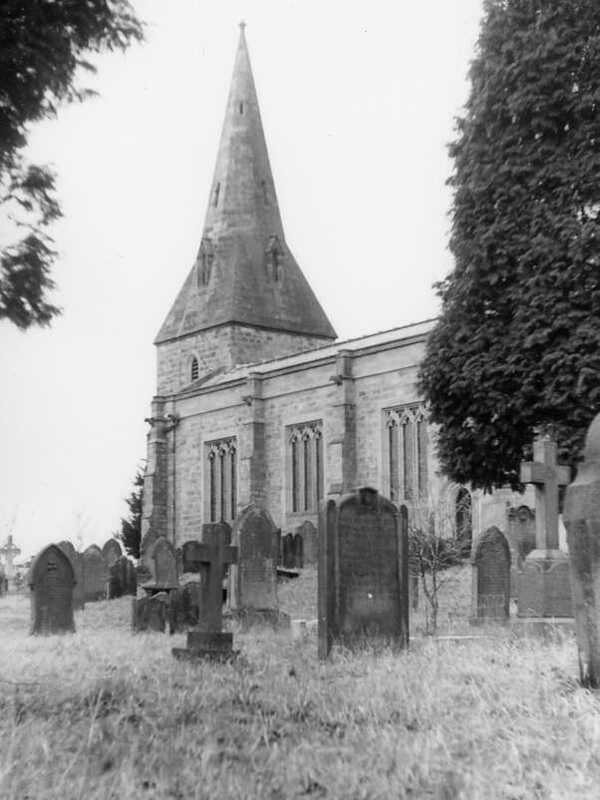 The focus of medieval settlement may lie around St John Lee, where there has been a church since at least the 14th century. The character of the parish at this time appears to have been one of dispersed farmsteads, much as it is today. A significant part of the population of the parish and surrounding areas were employed at the Fallowfield lead mine from as early as the 16th century to the mid-19th century. This is testified to by the many references to lead miners in the St John Lee parish register. By 1840 the mine was in decline and the extraction of witherite and barytes was begun. The mine closed in 1913 because of flooding. In addition there was also a colliery at Acomb. The village of Acomb contains several listed 18th and 19th century houses and beyond are several 19th century planned farms which demonstrate the essentially rural character of the parish. The remains of a lime kiln demonstrates the 18th and 19th century drive to improve agricultural lands. Today Acomb is still a country village, though now supporting a growing commuter population to Hexham, Newcastle and Carlisle.